Also known as Padalarang Kota, it is a small district located in the West Bandung Regency of West Java, Indonesia. The district itself is home to many attractions that draw a lot of visitors. The names of tourist spots are vast and varied with some of them including places like Daintaranya, Situ Ciburuy, Pawon Cave, Kota Baru Parahyangan and more! Ensure to give Kota Baru Parahyangan a visit while you are here. The place is a giant sundial of old times. The district is also home to first paper mills in the city like Cipularang and Padaleunyi. There is so much to see and experience here. Come and witness Indonesia like never before! 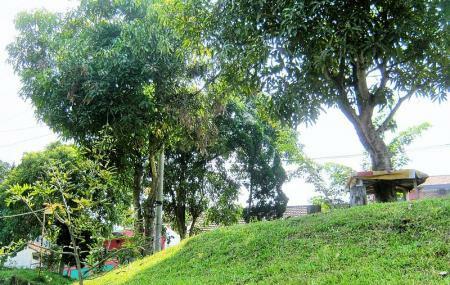 Explore Padalarang and other prime spots of the city using Bandung trip planner. Oomph up your visit by adding the best hotels in Bandung like Utc Bandung, Favehotel Braga and Hotel California Bandung. If you want to add the visit to Padalarang in your trip, you can choose from the variety of Bandung vacation packages that can be designed to suit your preferences. These packages also cover your major concern of how to reach Bandung. People normally club together Central Cimahi and Curug Malela while planning their visit to Padalarang.